Would You Change Your Ways for This Underwater Ballet Dancer? A new administration populated with climate-change deniers has those who trust in science understandably perturbed. 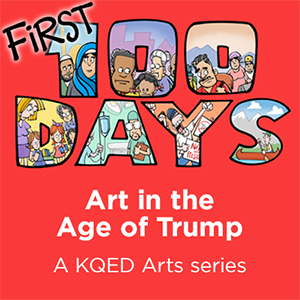 For Oakland-based environmentalist and filmmaker Christine Ren, however, change comes not solely from enlightened political leadership, but also from individual changes of habit. Ren is not alone in her conviction -- though her way of taking action is unusual. Ren is a ballet dancer and a scuba diver, and holds degrees in biology as well as marine affairs and policy. She is also possessed of a vivid imagination. 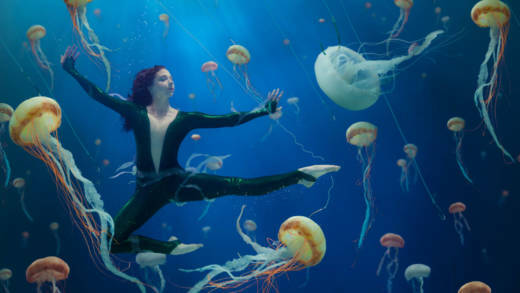 Thus armed, she dives into pools and oceans and makes haunting, meticulously choreographed performances underwater, which specialist video crews capture on film. The results call attention to the various ways in which we damage marine ecosystems, and urge viewers to adopt a personal 30-day behavioral challenge in response. Ren designed the challenges to contain realistic, achievable goals, in hopes of spurring on longer-lasting habit changes. “Together we can create an ocean revolution,” Ren says. 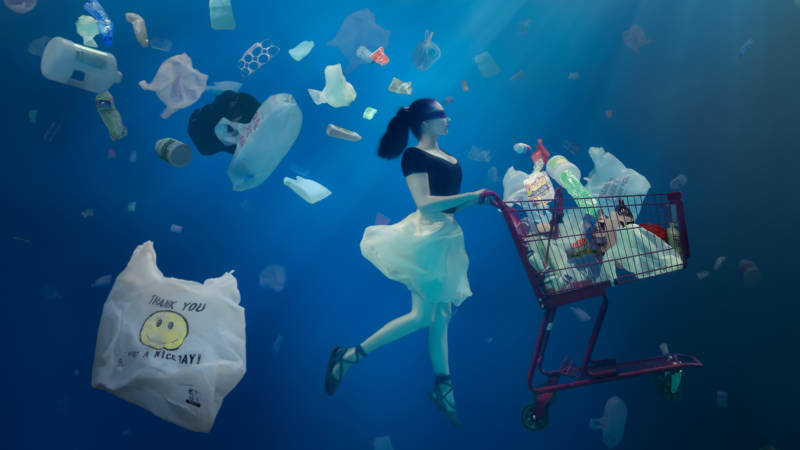 One of her pieces, Blind Spots, features arresting images of Ren trundling a grocery shopping cart deep under the sea, trailing plastic debris. Highlighting the enormity of the oceans' trash vortexes, the piece sparked a commitment by an entire class of fifth-graders to go plastic-free for 30 days. Simone Wolk, a teacher at Brandeis Marin in San Rafael, marvels at Ren’s impact on her young students. The artwork made them newly sensitive to the vast amounts of plastic in their world, and inspired them to conduct their own ocean conservation research and document their individual civic actions. Ren’s eerie underwater dance piece Jellyfish Soup riffs off a metaphor used in the conservation world for overfishing, which has decimated 49 percent of the world’s marine populations, threatening not only the oceans’ biodiversity but also precipitating a humanitarian crisis. Ren's artwork imagines a future in which the only remaining form of edible sea life is the jellyfish. In the film, Ren, sheathed in metallic scales, appears to reign tenuously over a swarm of enormous jellyfish amid a forest of fishing lines. The artwork challenges viewers to purchase only sustainable seafood. Recently, Ren traveled to Phuket, Thailand, to film a project entitled The Red Road in the open ocean on a bleached coral reef. 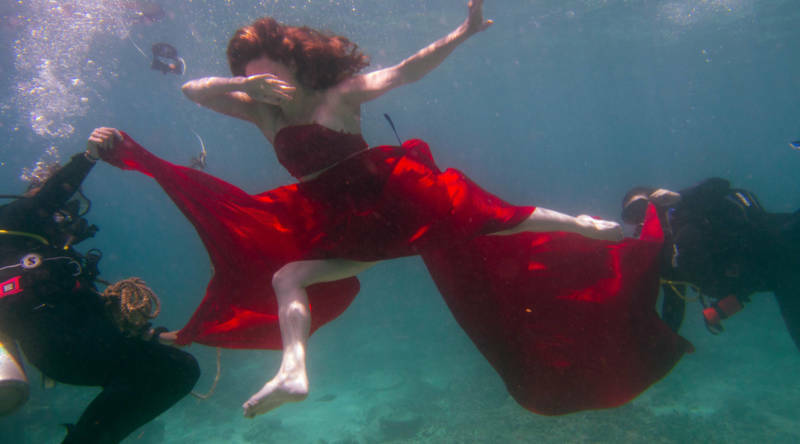 Deep underwater, she unfurled a long ream of red silk against the dying coral and performed a dance of mourning. Ren is currently raising funds to complete post-production on The Red Road. Once that is done, she will strike out for the Pacific Ocean, aiming to shoot in Hawaii to combat ocean trawling, then in Malaysia to promote mangrove nursery grounds, and in Australia to highlight efforts to save the Great Barrier Reef. The Red Road is currently in post-production and Ren is still discussing with climate scientists how best to structure a 30-day challenge around this project.